Four summers have passed since the attack on Archet. My family perished in the fires along with many others, including the brave Ranger Amdir. With all that I held dear gone, there was nothing left to keep me there so I moved to Combe seeking a fresh start. 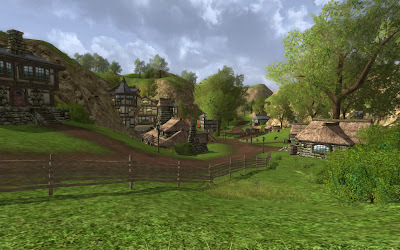 I kept busy helping the townsfolk out with various jobs, just enough to pay for my room at The Comb and Wattle Inn. 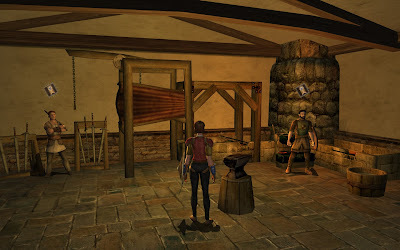 I also took up a vocation and became a Metalsmith making some extra coin selling my armour at the auctions in Bree. As my skill with a sword increased, so did my reputation around town. I soon began helping Constable Sageford out with some of the more dangerous tasks at hand. The Blackwold brigands had bolstered their ranks once more and had started causing trouble in Chetwood.